We’re all going on a summer holiday - I'm your PA : The virtual assistant company that likes to make you smile. I bet you just started singing to that lol! 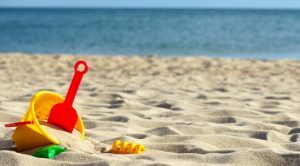 Summer is the time of year when most people take a holiday, the problem is that when you are in business it really isn’t that easy, who answers the phone, who follows up on emails? So many business owners end up taking their work on holiday with them, this doesn’t always bode well for a family holiday! For the last eleven years we have been covering many businesses during their summer holidays, some clients we only ever see for the duration of the summer. Going away on holiday really doesn’t have to be a problem when you are in business, we all need family time. Today I spoke to Andy, he and his business partner are taking August off to be with their families. After a short conversation we put together a plan whereby I’m Your P.A. can take all the calls, deal with the emails and if there is anything absolutely urgent that we are unable to deal with, we will text them. We have agreed a time that each day they will check their texts, if there is anything that we are worried about they will send back a brief message of what it is we need to do. So Andy and his business partner will be able to take a month off and just check in for five minutes a day, whilst we keep everything running. Over the years we have assisted with the exchange and completion of properties whilst the solicitor was in Prague, and no-one knew he was out of the country; we have filled courses for when the business owner returned to work; even run marketing campaigns and filled the diary with appointments for the first week back – anything is possible! So when you hear a business owner or their spouse complaining about how the family holiday is always ruined by the dreaded mobile phone or laptop, please tell them there is another way. Just ask them to give us a call at I’m Your P.A. 01902 585222 or email us at info@imyourpa.co.uk– we will make sure the holiday is fun for everyone!